I used to live in the middle of icy nowhere in the far North. Being an oblivious kid, I didn’t spend too much time thinking about what might happen if the truck broke down one day and we couldn’t make it into town. When I would (very infrequently) return to the place that I grew up, I would find the isolation of the place suffocating and terrifying. I couldn’t help but think rather constantly: What if something went wrong? What if someone got seriously hurt or sick? We were miles away from everything and everyone. That visceral feeling of being utterly alone, and the dangers inherent in that isolation, was captured ably by the filmmakers of First Winter, a National Film Board short about a mother and her young daughter and son, roughing it in the Ontario bush while her husband worked miles away at a labour camp. For the poor Irish immigrants who settled rocky Ontario, life was crushingly hard. Fleeing starvation in Ireland, they were confronted by the killing cold, and nearly un-farmable tracts of land in the Canadian Shield. This movie looks at a long-suffering, relentlessly hard-working mother played by Kathleen McAuliffe, a thoughtful, problem-solving daughter played by Sharon O’Niell and a stubborn, petulant son played by Eric Patrick Godfrey. The performances are solid. The real interest though comes from what is really the film’s most important character and villain of the piece – the Ontario landscape. The son sings, “ice and trees …nothing in the whole world but ice and trees” and that rings true. Huge imposing trees, nothing but ice and snow as far as the eye can see. We forget in our civilized, day-to-day lives, that nature can kill us. This movie also reminds me of the stark realities of illness in a time when we didn’t have access to health care and vaccinations. When the mother falls ill, the result is a world-shattering cataclysm for the isolated family. Directed by John N. Smith, the film isn’t afraid of silence, moments where the only sound is fire crackling, the sound of wood being chopped and snow melting. I like the quiet, and I find a kind of poetry in watching people just go about their daily routines. In this case, First Winter successfully reminded me that for all our First World bitching and moaning, civilization, modern comforts and health care aren’t such bad things. 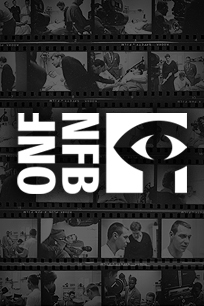 Watch the whole film on the NFB site.